A flatlander by origin but a mountain man at heart, Steve moved from Connecticut to the Green Mountain State in 2009 to pursue a life in the mountains. He attended Johnson State College for 4 years, receiving his B.S. in Psychology and it was here that he’d meet his to-be wife, Savannah. After graduation, Steve once again packed up his car and headed west towards Montana for a year but eventually found himself back in Vermont where he married his college sweetheart. Together they have a son and can always be found somewhere in nature, whether it be on land, water, or snow. Steve comes from a working background in Ski Area Mountain Operations, working on and conducting preventative maintenance on ski lifts for 7 years. 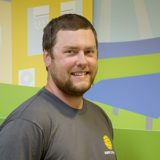 He feels a strong sense of pride being out on the road, installing arrays, and working with like-minded people as a representative for the SunCommon name and looks forward to what the future of solar and renewables has in store for himself, his colleagues, and the beautiful state he calls home.